“Into the Storm,” a tele­vi­sion dra­ma broad­cast by the BBC and HBO. Pro­duced by Rid­ley Scott, direct­ed by Thad­deus O’Sullivan. Bren­dan Glee­son as Win­ston Churchill and Janet McTeer as Clemen­tine Churchill. Screen­play by Hugh White­more. Here is a TV docu­d­ra­ma pack­ing excep­tion­al hon­esty. 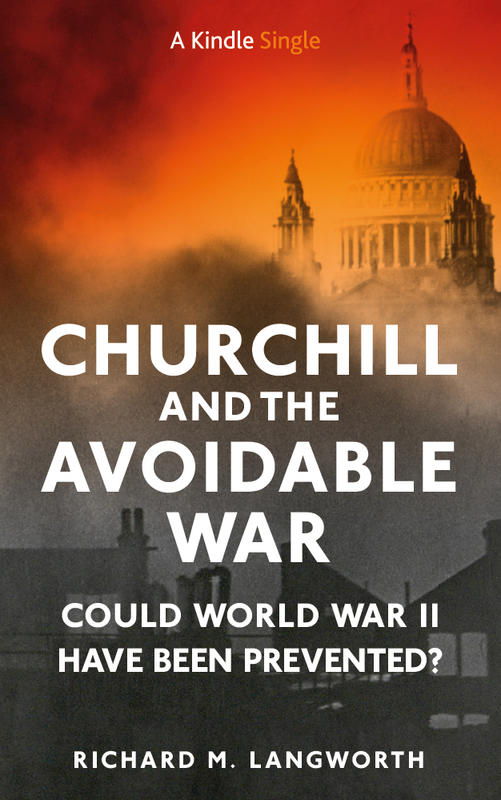 At an age when most men retire (or in his time die), Churchill gets com­mand of his nation when no one else wants it. It is Britain’s great­est cri­sis in his­to­ry. They fight alone, save for their kith and kin. And they win—only to see the old man dis­missed in the moment of vic­to­ry. The open­ing scene is Hen­daye, France, July 1945, where Churchill, his wife and daugh­ter Mary spend a week’s break. It is between polling-day in the British Gen­er­al Elec­tion and the start of the Pots­dam Con­fer­ence. Anx­ious for elec­tion returns, Churchill relives the past five years in a series of flash­backs. This is the film’s one jar­ring ele­ment. The back-and-forth occurs with­out obvi­ous tran­si­tion. You have to remind your­self whether you are in the past or present. It is the only fault worth not­ing. The sto­ry is mas­sive, the action real, the his­to­ry hon­est, the dia­logue con­vinc­ing. The scenes are art­ful, the act­ing superb. Bren­dan Glee­son, who in life speaks with a heavy Irish brogue, is the best Churchill since Robert Hardy. He falls into none of the usu­al traps. 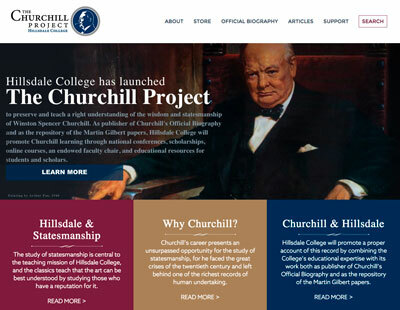 Most Churchill imper­son­ators over­do the accent or the famous lisp. They repeat the V-sign, toi­let scenes and siren suits. 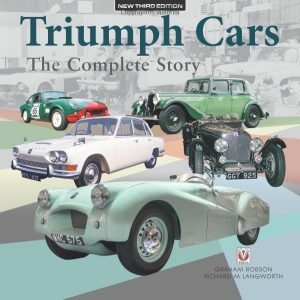 These are car­i­ca­tures paint­ed by Lord Moran or Alan­brooke. Gleeson’s work was praised by WSC’s daugh­ter Lady Soames, the sternest of crit­ics. Hugh White­more was sen­si­tive scriptwriter of Scott’s pre­ced­ing film, “The Gath­er­ing Storm.” Again he helps by not load­ing the dia­logue with soar­ing rhetoric. “Papa spoke in pri­vate,” his daugh­ter says, “much as he did in pub­lic.” And here is the pri­vate Churchill, with doubts about win­ning, fears of the future, and faults of his own—for he was as human as any­one, freely admit­ted it, and often apol­o­gized for it, espe­cial­ly to his wife. Sev­er­al quotes, though real enough, are tak­en out of time or con­text. But White­more blends them flaw­less­ly into the sto­ry, and the stu­dent of Churchill’s words doesn’t mind. Sev­er­al scenes—the famous “naked encounter” with Roo­sevelt is one—didn’t hap­pen that way, but are so seam­less­ly inte­grat­ed and well act­ed as to make them believ­able and accept­able. 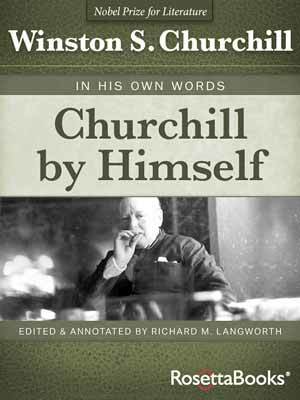 Churchill’s habits—like the manda­to­ry sies­ta which enabled him to work into the wee hours—are deft­ly con­veyed in a line of dia­logue. There is no bend­ing of his­to­ry for the sake of dra­ma. Only the advanced pedant can object to the film’s artis­tic license. 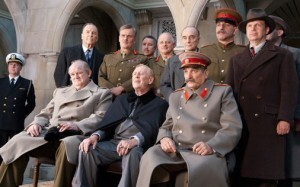 Yal­ta, 1945: Glee­son, Car­i­ou, Patrenko (HBO). ”Into the Storm” packs less depth than “The Gath­er­ing Storm”—like the per­se­cu­tion of Ralph Wigram for send­ing WSC secret reports on Ger­man rear­ma­ment, and the brav­ery of his wife Ava dur­ing threats against their fam­i­ly. But too much is going on for side­bars. This is World War II, remem­ber: the French deba­cle, Dunkirk, the Bat­tle of Britain, the Blitz, Pearl Har­bor, Sin­ga­pore, the fraught meet­ings with Roo­sevelt (Len Car­i­ou) and Stal­in (Alexy Patrenko), the all-or-noth­ing assault on Nor­mandy. Lead­er­ship is the plot, sub-plot and side­bar. Some Churchillians have asked why Rid­ley Scott couldn’t have stopped at Pearl Har­bor, and done a third film lat­er; why there couldn’t be mul­ti­ple parts; why it wasn’t a Churchill ver­sion of “Lord of the Rings.” Indeed, I crit­i­cized “The Gath­er­ing Storm” for skip­ping over Neville Cham­ber­lain and Munich. But the best edi­tor I ever worked for said: “A bore is some­one who tells every­thing.” And we are not film­mak­ers. We have no idea what con­straints the pro­duc­ers labored under. We do know that Rid­ley Scott had nine­ty min­utes. 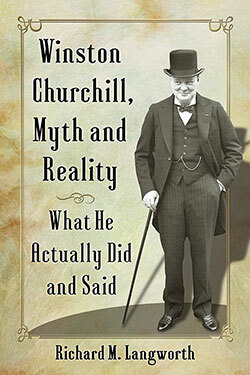 And what he does to por­tray the real Win­ston Churchill is a work of genius. My endur­ing impres­sion of “Into the Storm” is of an old man, real­iz­ing after the most hero­ic chap­ter in his country’s his­to­ry that his­to­ry itself has passed him by, the Britain he loved van­ished before his eyes. 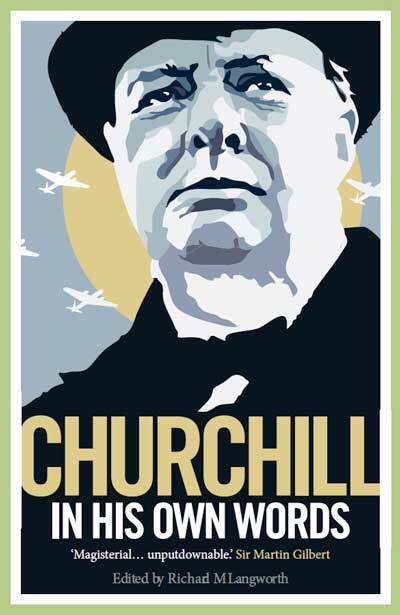 “The palmy days of Queen Vic­to­ria and a set­tled world order,” as Churchill put it in 1947, are gone for­ev­er. The war is won, the coun­try lost in a Social­ist dream. Hard­ly, alas, unfa­mil­iar: a sig­nal mes­sage in 2009. Watch­ing this film, I had the odd sen­sa­tion that it was well Britain chose World War II for what John Charm­ley called “The End of Glo­ry.” British pow­er and faith, focused one last time by a leader steeped in his­to­ry and lan­guage, held the fort “till those who hith­er­to had been half blind were half ready.” Bet­ter to go out in a flash of light than face the long decline that seems now to attend anoth­er super­pow­er. “The proud Amer­i­can will go down into his slav­ery with­out a fight,” Prav­da (aston­ish­ing­ly) declared, “beat­ing his chest and pro­claim­ing to the world how free he real­ly is.” That will take years. For Britain the End of Glo­ry came in months. I ful­ly agree about that the sto­ry is mas­sive, the action real, the his­tory hon­est, the dia­logue con­vinc­ing, the scenes art­ful, the act­ing superb, includ­ing Ms.McTeer´s per­for­mance. Yes she is no Vanes­sa Red­grave, but they both are unique actors in their own way. As a Uruguayan fan of British actors and the UK tra­di­tion of great the­atre, thanks for remind­ing us of the sac­ri­fice of Churchill’s gen­er­a­tion, and the val­ues they fight for. After World War One, Churchill lament­ed using Thomas Moore’s words, “I feel like one / Who treads alone / Some ban­quet-hall desert­ed, / Whose lights are fled, / Whose gar­lands dead / And all but he depart­ed!” How much more poignant were those sen­ti­ments run­ning through Churchill’s mind after the close of World War Two? Alas, those of us who are steeped in his­to­ry, espe­cial­ly Churchill’s prophet­ic obser­va­tions, must feel today a sim­i­lar sad­ness. The val­ues we hold to be true con­cern­ing states­man­ship, democ­ra­cy, cap­i­tal­ism, and faith are large­ly regard­ed today by the mass of men as an anachro­nism. 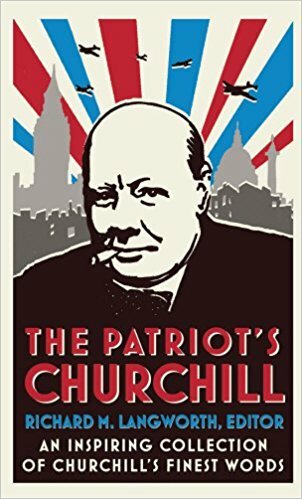 Per­haps as we con­sid­er what we (Amer­i­ca and mankind) have lost, then we can appre­ci­ate in part Churchill’s inner tur­moil.